A large struggle for most businesses both in Brisbane and around the world is getting people to contact them. It doesn’t matter if you’re the best at what you do if no one knows about you then you aren’t going to get business. The following three SEO tips range from the simple through to advanced that will help get your business noticed online. Known by many names such as Google maps, Google places, local maps, and the Map pack. We are speaking about the section pictured below showing 3 local businesses and their location on the map. This section will be different depending on where you search from and prioritises the businesses closest to you, regardless of their size. This means a one man band that is new can compete with even the biggest businesses. 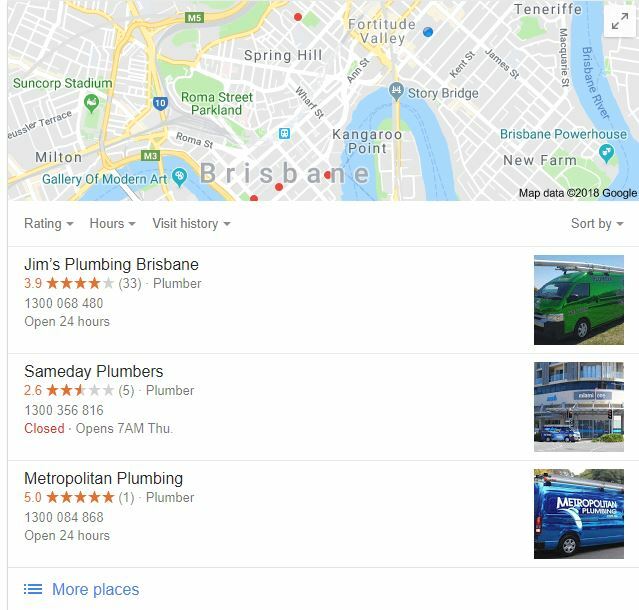 Although getting in the maps section should be a no brainer there are still thousands of businesses across Brisbane missing out on this great source of local business. If you happen to be a providing a service out on the road then this is more important than ever. Who doesn’t want jobs close to home? You can lose hours a day trying to get from North Lakes to Springwood for the next job so it makes sense to get every possible lead you can from your local area. Make one page for each product or service you would like to rank for. For example: a plumber might need a page for each of the following services, leaking taps, blocked drains, burst pipes, hot water systems etc. The reasoning behind this is simple Google’s main goal is to serve relevant content anytime a user makes a search. Therefore it stands to reason that if someone searches Google for “Leaking Tap” it’s far more relevant to serve a page all about leaking taps then a generic service page that mentions leaking taps once. The most common way to build a page for a business websites is to do the bare minimum and hope that it ranks. Even most Brisbane SEO experts Might say things like the best practises are minimum 250 words per page, one unique image etc. The real answer though is to look at what the people already ranking organically for your target keyword are doing and replicate it. If the people ranking number 1 to number 3 for your keyword has a great looking page with 3000+ words, plenty of images and a couple of videos then that’s what you need to do at the very least to compete. Getting the onsite factors of your site to beat that of your competitors can be one of the cheapest ways to make the biggest difference in how your sites ranks in the organic section of Google. The reason is you don’t need any external companies to do it for you other then maybe a web designer to make it look nice. Best of all onsite SEO is transparent, you can see how much written content they have on their site, you can see how many great images they have. 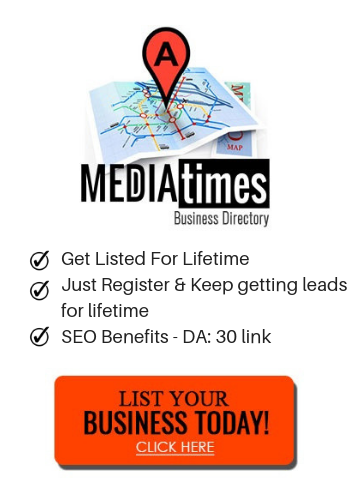 By implementing just these three SEO tips you will have done more to rank then 99% of your competitors and eve most Brisbane SEO’s Google will reward your efforts.